As you may know by now, I love love love movies AND I love going to the movies. I love the smell of popcorn, and eating my fave Sno-Caps or Raisinettes. And I do love me some movie nachos as well. Sounds gross, but tastes oh-so-good. Over this past holiday weekend, we had the most craptastic weather from Friday until about Sunday evening. So Saturday we were dying to do something, anything. And that's how I managed to end up at the movies twice in one day. My mom and I took my daughter to see Kung Fu Panda 2 in the afternoon. She loves going to the movies as well, she recently went to see Thor and is dying to see Pirates of the Caribbean: On Stranger Tides, which we hope to take her to next weekend. I know I blogged about it the weekend it came out, but life got in the way and we haven't made it to see that yet. We loved Panda and would highly recommend it. It was great for all ages. In the evening, I headed out with the grown-ups (if you could call us that) to see the very classy artistic feature of The Hangover II. It had gotten mixed reviews, but aside from a few small issues, I really liked it. It is really raunchy though, so beware if you're easily offended. I'm not, so I thought it was great! I was excited to see the previews of a few more great looking comedies, so I have a feeling I'll be spending a lot of time in the movie theater this summer. Hope you had a great holiday weekend as well. Bloody Little Secrets Available Now! Just to keep you posted, Bloody Little Secrets is now available in paperback on CreateSpace for $11.00. It should show up on Amazon in the next week or so. Don't forget to enter the Splash Into Summer Giveaway to win a ebook copy of Bloody Little Secrets or Into the Shadows! Summer is just around the corner and all of the authors at DarkSide Publishing want to make sure you have plenty of marvelous YA books to read poolside. 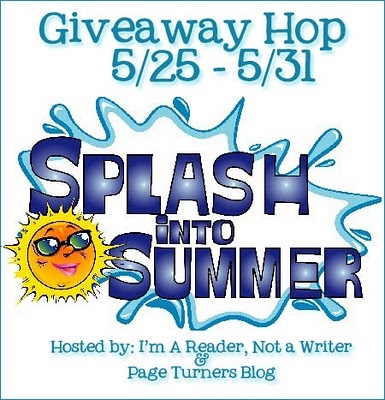 As part of the Splash Into Summer Giveaway Hop hosted by I Am A Reader, Not A Writer & Page Turners, I'm giving away Five (5) ebooks! You can choose from either Into the Shadows or Bloody Little Secrets, depending on if you're in the mood for magic or vampires! I'd also love if you'd follow me on Twitter or check me out on Facebook, or follow the blog, but it's not required! I'd also love it if you added the books on your Goodreads page! Don't forget to check out the other blogs in the Splash into Summer Giveaway Hop including DarkSide authors Megg Jensen, G.P. Ching and Angela Carlie. So I had a request somewhere down the line to show pictures of my writing desk in all it's creative haphazard glory, like so many other writers have done. I'm sure you're picturing an antique writer's desk, maybe a cork board covered with color-coated sticky notes displayed above, posters featuring my favorite books/movies/musicians, maybe a stereo? ...but I have nothing of the sort. I am what they call a nomad. Any place I can find where people will leave me the hell alone/ignore me is where I write. I can be found writing at any of these locations armed with my MacBook Pro: bed, kitchen table, husband's 'office' (but rarely), couch, desk at work in office, desk in classroom (*all during appropriate lunchtimes! ), doctor's office waiting room, in the doctor's examination room (while waiting for doctor), airport, airplane, in the car (not while driving), in hotels, at Caribou Coffee, in the bathroom while kid is in the tub, cool Poang chair in my bedroom, and probably lots of other places I'm forgetting. I don't have any regular place to sit and write. I would say my bed is probably the most popular location. I'll sit in bed, put my poor old feet up, put Seinfeld or Friends on for background noise and write away. I have to have background noise. If at my desk at lunch at work, I'll throw on some Mumford & Sons or listen to BBC Radio 1 on the internet. That's the whole glorious secret. Now share with the rest of us, where do you write? In preparation for this weekend's release of Pirates of the Caribbean: On Stranger Tides, we watched the first three movies over and my daughter, who is 4, watched them for the first time. Every time she sees ads for the new movie she gets super excited and goes chattering on about Captain Jack Sparrow. It's way cute. Except she's sort of in this super-questioning mode and anything she watches with us that isn't a cartoon (Harry Potter, Pirates, Thor, Bones, whatever) she has 800 questions. Imagine trying to explain to a 4-year-old the whole Will Tuner becoming the captain of the Flying Dutchman thing or why Calypso dissolves into a million crabs. It was rather a challenge. An awesome special effects/cinematography moment was when Lord Cutler-Beckett was walking down the steps of the doomed Endeavour as it exploded around him. Some exquisite camera work and special effects there. It's stunning. 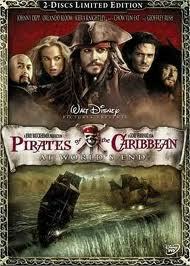 I'm really looking forward to On Stranger Tides and hope it's as great as the others! When I wrote Into the Shadows, I pulled mostly from my knowledge of World War II and the Holocaust. I majored in German in college (I'm a German teacher now) and I also essentially had a minor in history (and have taught it), mostly focused on the history of Germany, World War II, and the Holocaust. I think the reason the Holocaust and WWII fascinate me so much is because I am intrigued by how normal, average citizens can be provoked to become the epitome of evil. And while I love writing and reading paranormal lit normally, this mindset is by far more frightening and terrible to me than any horror novel or vampire could be. I know that the last survivors of the Nazi horrors are passing on, their stories relegated to text books and documentaries, which hopefully are not lost on the next generation. It scares me to think that people sometimes don't believe the Holocaust even happened. *facepalm* When I thought about starting to write a book (Into the Shadows was my very first) I considered the age-old nugget of writing advice...write what you know. Now, I don't necessarily prescribe to that in all cases. I most certainly have never been a vampire or a drug-dealing cheerleader, but I have written about them. But it served me well with Into the Shadows. I thought about what kind of problems we have in the U.S. today and how a government and people could react when put under the pressure to end such a problem. Instead of our problem of foreign terrorists, I created a group of domestic terrorists that kept the people in Paivi's world on edge. Senator Wendell Stevens offers a solution, and the people support it because they're scared. Fear makes people do funny things. My hope was that this theme isn't lost to the history books. Governments and people can and do do really bad things to their own citizens and neighbors, even today. Hope you enjoyed this little behind-the-scenes look at Into the Shadows! I happened to see Thor yesterday and loved the Kenneth Branagh film. The story, scenery, visuals, characters, all great. The romance for sure left a little to be desired. I had a hard time thinking that Thor and Natalie Portman's character, Jane, would be in love with each other after about 36 hours. I totally understand the need to have love happen fast in a movies, and most of the other superhero movies, the love interest was someone the superhero knew for years in other capacities, not some chick he dropped out of the sky on top of. In any case, I still loved it and I'm really looking forward to a Thor sequel and the Avengers as well. Thor and Iron Man in one movie? Yes please! I've been a little unsure of what to write lately, I feel like I'm heading into a blog drought or something. But one of my Facebook friends had a great idea that I should write about what inspires my writing. As a writer, I definitely pull details from my life and experiences. I'm sure not every writer does that. Maybe it pollutes the writing, but I feel like it makes my tie to the story stronger and more personal. And for the reader, for those that know me, they get all the little inside jokes and secrets. So today I'll let you in on how I came up with the setting for Into the Shadows, my first novel. Into the Shadows is set in St. Andrew, Illinois. St. Andrew is fictional, but is set along the very real Fox River and St. Andrew is a name created to represent two of my fave Fox Valley towns, Elgin, where I live, and St. Charles, which is just down the river and is a place I hang out often. Because of the negative things that happen in St. Andrew, I didn't want to soil either town's reputation, as it were. The name St. Andrew came from the fact that I wanted to use St., like St. Charles, and since Elgin is named after a town in Scotland, I picked St. Andrew, who is the patron saint of Scotland. I'm also of Scottish heritage, so I liked the connection. I included some of my favorite locales in the story as well. At one point, Paivi goes out with a boy to Al's Cafe and Creamery, probably my favorite Elgin restaurant located at 43 DuPage Court in downtown Elgin. They have the best shakes! Paivi and her friends go and eat at Armando's before Homecoming which was the original name of Pi Pizza Perfection, one of my fave Italian and pizza places, located in downtown St. Charles, Illinois at 102 E. Main Street. St. Andrew High School is based off my alma mater, Elgin High School (East Side, Maroon Pride!). I graduated from Elgin in 1996, as did my husband. My parents also went there. I modeled the City Hall after Elgin's own City Hall. And Paivi walks by the Butterman Mansion on her way to Al's Cafe. This mansion was a restaurant at one time. The picture I found was taken during winter, but it's quite pretty when everything is in bloom. There are lots of great old houses in Elgin. When Paivi hits the road, she and her group head north, to Duluth, Minnesota. My husband's family (half of them) are from the San Francisco of the north, as it's known. And I actually went there during summer vacation while I wrote Into the Shadows. It seemed like the perfect place for Paivi to go. I hope you enjoyed this little trip into Paivi's world! 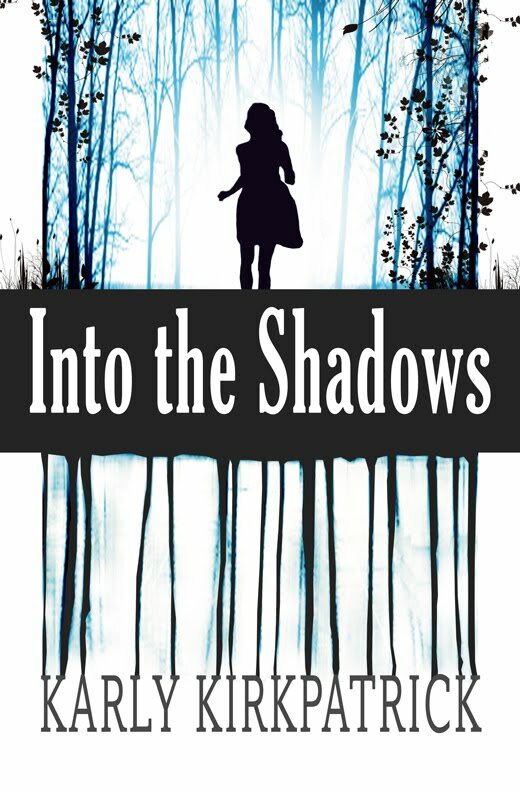 I started my epublishing adventure late last summer, but if we want to look at it for sake of official record keeping, my epublishing debut was on November 1st, 2010 with my YA novel, Into the Shadows. My second book, Bloody Little Secrets officially came out May 1st, 2011, 6 months later. I've been at this for 6 whole months and feel I can offer a bit of reflection. - Reaching over 500 readers. - Becoming a better writer and editor. - Forming DarkSide Publishing with Megg Jensen and G. P. Ching and adding author Angela Carlie. - Earning back the money I spent on Into the Shadows and turning a profit. - Meeting lots of great people as a result of writing and publishing, whether it be on Facebook, Twitter, or KindleBoards. - Formatting. I have to thank my husband for helping me get the file into MobiPocket Creator, but after that, it was pretty easy. It was such an awesome feeling when I was able to convert the file to an .epub on Calibre and upload it to PubIt. I did that all myself, at least! - The Missing Link. I have followed every one of Joe Konrath's rules. And I'm certainly not saying he's not right, because he is. Good book, good cover, good price are the best ways to go about the business. And the fourth principle he discusses, LUCK, is the hardest one to come by. We all know that it hits for some but not for others, although I'm pretty confident one or all of us at DarkSide will catch the luck wave at some point. But we haven't just yet. I'm certainly not complaining, our hard work has paid off with very respectable sales and we have had the opportunity to reach a lot of people. But we aren't selling hundreds or thousands of copies a month yet. Secretly I dream of the day that I get up and check my sales and see a consistent 2 and 3 figures a day. I'll make a prediction (one I made earlier in the year, when we started DarkSide) that in another 6 months, things will be quite different than they are right now. I think even the end of May will be different than it is for me right now. I'm currently averaging $200 a month. I'd like to make 100 sales a month at least (of course I'd really like more, but it's wise to be conservative!). At 100 books a month x 12 months, I'm selling 1,200 books in a year. And earning slightly more than $2,400. As a teacher, it's similar to running a club, I get paid a little less (about $1800) to run the German Club. So it's like adding an extracurricular. For me, it's not bad and I appreciate it. I'm running on a profit for ITS and will be soon for BLS, so the only thing I spend a lot of is time. I'm really happy with the results of my epublishing adventure so far. I've learned a lot about writing and publishing the last 6 months, which I think has made me better at both. I'm glad I've been able to share everything with you. I haven't taken a ton of risks in my life and am a pretty cautious person, but this is by far the best and most rewarding risk I've ever taken. I'm going to approach this month a little differently. In previous months I listed exactly how many sales were from each sales channel. But I think the numbers that really count is how many ebooks vs. paperbacks were sold, overall number sold, and overall earned. April was an extremely slow month for me. 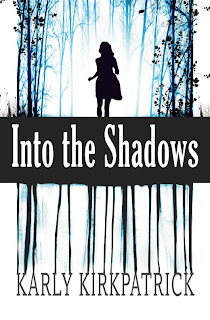 Into the Shadows sales slowed a ton and the only saving grace I had was sales from an authors' fair and a few extra sales of paperbacks that I had at home. To refresh your memory, in March I sold 100 books (93 ebooks/7 paperbacks) earning $200.28. These were sales for Into the Shadows only. In April, I sold 74 books (65 ebooks/9 paperbacks) of ITS for a total of $176.90. BUT I started selling Bloody Little Secrets on April 29th and managed to sell 10 ebooks earning $23.39 for a grand total of 84 books sold earning $200.29 for April. I know, one penny difference! Pretty amazing. I earned more money for the paperbacks in April because they were copies I sold myself. BLS is also selling at a slightly higher price ($3.49). So both of those details helped. I'll be curious to see what May's sales will be like with two titles available. I'm hoping that will ensure that I at least make the same amount of money, if not more. And I'd really like my sales to at least stay steady around 100 a month. How did you fare? Bloody Little Secrets Available at Barnes & Noble for Nook! And of course, don't forget it's also available worldwide through Amazon! Be sure to pick up your copy and tell a friend! Also, don't forget to check out all of DarkSide Publishing's titles! These titles are also available at Barnes & Noble and Smashwords/iBooks/Sony! Bloody Little Secrets Available for Kindle! Sooooo, not sure if you know this or not, but you can purchase Bloody Little Secrets now! It's only available at Amazon.com, Amazon UK, and Amazon Germany as of today, but I'm hoping it will be available for Nook today or tomorrow! Be sure to pick up your copy! I really think you're going to love it!